Everything is rapidly optimizing. Industrial technology, home appliance technology, internet speeds, and even the speed at which our coffee makers brew our drinks in the morning. The world is running at a faster, more efficient pace than ever before. The worrisome part? We humans have sped up in order to keep up. While your high-tech coffee maker and brand new tablet were designed for speed, you weren’t. Technology is clearly not the easy fix we sometimes think of it as. We are now finding that we have to remind ourselves to relax, take our paid vacations, and STOP working at the end of each day. Weird, right? 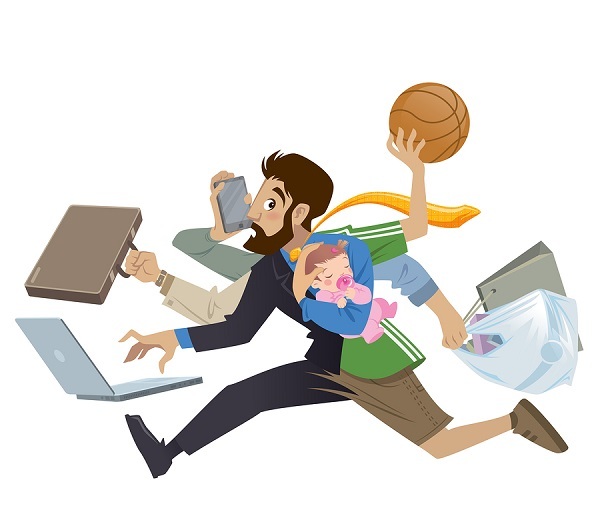 So what are the downsides of the fast-paced workaholic life? What are the real, tangible dangers of being a modern workaholic? If you find yourself working extremely hard towards a goal, no matter what area of life it is in, remind yourself that the goal isn’t everything. There are always things to enjoy and experience in the present, even if you don’t recognized them at first glance. A lot of people “reserve” their fun for a later date. “When I have more money I’ll do what I enjoy, when my kids are older I’ll do something for myself,” etc. If you put yourself off now, you are most likely going to be putting yourself off in the future. Habits are habits. Plus, there’s no way of knowing if the thing you are waiting for will ever happen. So just start doing what you like to do, in the capacity you can afford to do it, now! There are all sorts of stress problems that go along with an overworked body. In fact, there are so many that most health sites have begun listing “stress” as a potential cause of just about any symptom or ailment. A few common ones include muscle tension, back aches, migraines, high blood pressure, hormonal imbalances, digestion problems, and fatigue. Workaholism has also been associated with insomnia and heart disease in an American Journal of Family Therapy study. As mentioned earlier, humans were not designed to robotically work at higher and higher speeds with no gaps for fun in between. Going to work, coming home, eating, and sleeping are not enough for anyone. Thus, being a workaholic can lead to mental health problems as well. There is also a theory that workaholics tend to have some problematic thinking patterns. One study found that a group of hardworking college students related to compulsive thoughts like, “It’s hard for me to relax when I’m not working” and impatient thoughts like “I seem to be in a hurry and racing against the clock.” Clearly, these aren’t the healthiest mindsets to be stuck in, and “racing” is not the natural state for a human mind/body. If you have a boss who refuses to respect your boundaries, it might be time to find a new boss. No matter how money hungry your employer is, asking for constant overtime and extra work is simply unacceptable, and impossible for you to keep up with anyway. Another tip offered is to make a list of things you need to stop doing. For example, are you consistently picking up the slack for someone, emotionally or literally? Do you berate yourself anytime you leave the office early or on time? Do you keep picking up extra days at work when you know you haven’t been getting sleep? All of these things are examples of what you must stop doing. Along with these tips, there are several other things you can do to calm your work habit. Exercise may help distract you from obsessing about work. You can also try scheduling more outings with people who don’t work with you. This will help guide your thoughts and conversations away from work. Brianna is the founder of Exist Better, an Emagazine to help intuitive people better themselves and change the world. Find out more or subscribe to the blog for updates.